Margat. also known as Marqab from the Arabic Qalaat al-Marqab (???? ??????. ``Castle of the Watchtower``) is a castle near Baniyas. Syria. 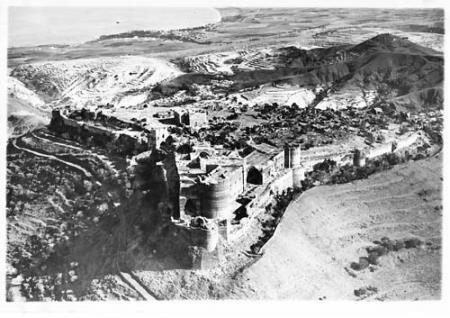 which was a Crusader fortress and one of the major strongholds of the Knights Hospitaller.